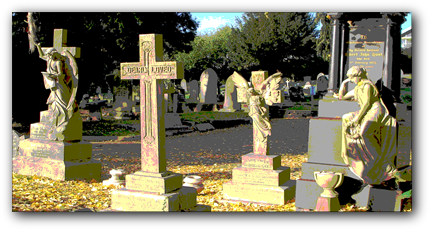 Organized and promoted by Alison Colledge of Leicester Arts and Museum Service, Belgrave Cemetery Heritage Open Day 9th September 2018 was well supported. Belgrave Cemetery guide Sandra Moore led a party of visitors starting at the final resting place of Elizabeth Goodwin former head teacher of the Great National School on Loughborough Road and finishing at the grave of Joseph Cave who famously sang in his grave. Sandra’s rendering of the song was heard by all at the cemetery at the end of the walk and I’m sure was as much of a surprise to those in attendance on that Sunday morning as it was to the workmen many years ago. After the guided walk refreshments were offered to visitors and those wishing to locate family graves were given the location or escorted to the position in the cemetery.